Elton John and Bernie Taupin are celebrating 50 years of their song writing partnership, a combination that has produced a string of classic hits over the years. Many of these Elton John songs were created before the advent of music video and 'Elton John - The Cut' is a YouTube video project that aims to fix this! 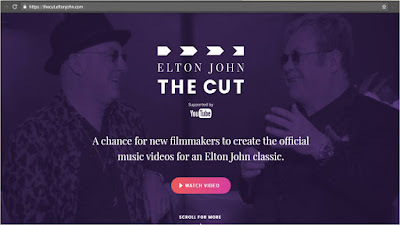 'Elton John - The Cut' is all about giving YouTube creators the chance to create official music videos for these legendary Elton John hits - Rocket Man, Bennie & the Jets and Tiny Dancer. Entries to 'The Cut' will be judged by professionals and the winners of The Cut project will also be awarded a prize of $10,000 to support future creations. 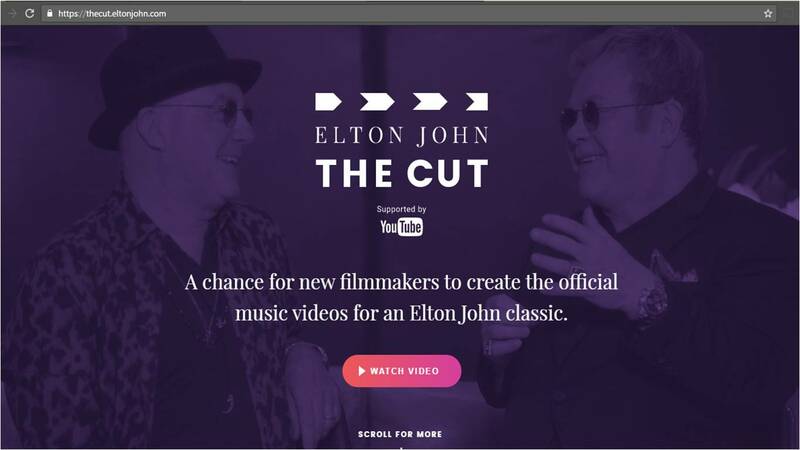 'Elton John - The Cut' is a big initiative and it is well supported by YouTube, being unveiled at the YouTube Brandcast event with everything hubbed at https://thecut.eltonjohn.com/. ...and if this isn't enough, there's also a YouTube film called 'How To Make A Video Treatment for Elton John The Cut' too!